If you’ve ever discussed the food scene in Austin, Texas at any point in time, then you know it is absolutely exploding with amazing places to eat- both old and new. And with the exception of a few food genres here and there, you can really find ANYTHING your heart desires when it comes to amazing food in ATX. I absolutely love the relatively new (opened in 2017) Fareground in downtown Austin. Fareground is basically the food court of your dreams, but all the cool kids are calling it a food hall. Did you ever eat at one of those growing up? Mine had a Sbarro, Panda Express, Subway (all winners right? ), you get the idea. Fareground has that similar “food court” layout, but in an absolutely gorgeous setting, showcasing all local an incredible Austin restaurants! There’s a beautiful outdoor patio area that’s perfect for families, couples, or really any kind of group where they often have live music or games, and the inside is beautifulllly air conditioned with plenty of seating. You’re going to need to park downtown (I know, always a bummer) on the 111 Congress garage on the east side of Brazos between Cesar Chavez & Second, and with a purchase you’ll get the discounted parking rate of $3 per half hour. Which, believe it or not, is a steal. 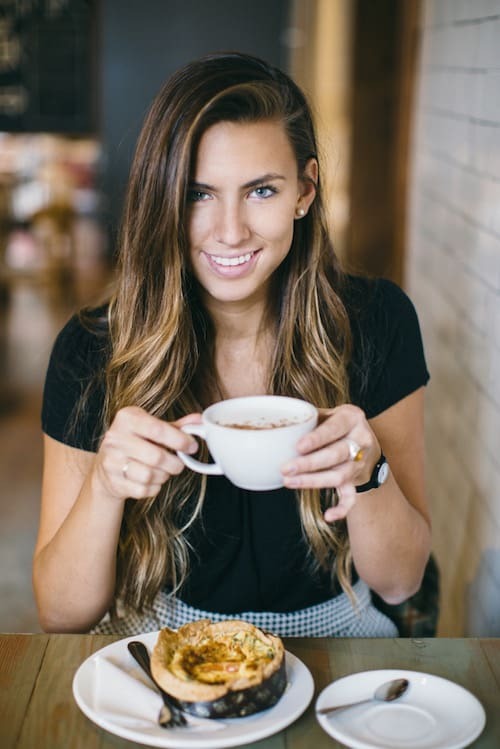 I’ve rounded up my favorite items from each restaurant so you can see what my Fareground favorites are! 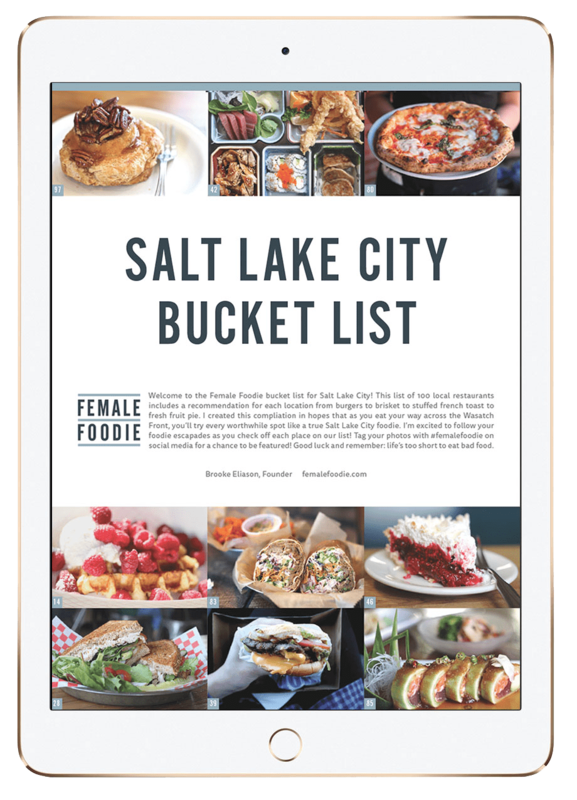 Some of these vendors provide breakfast on select days, but this post primarily highlights lunch and dinner options. Have you been to Fareground? What are you favorite things to eat here? The original Easy Tiger on 6th street is easily (see what I did there) an Austin favorite! 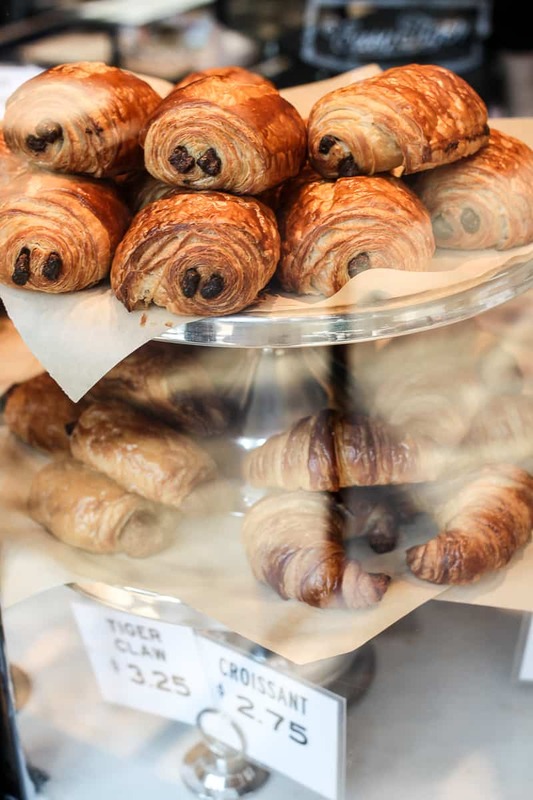 I love being able to grab one of their delicious pastries at Fareground, and although there is plenty to choose from my absolute favorites are the Pain au Chocolat and the homemade pretzels with beer cheese. The baked goods here are great for an appetizer while you’re waiting for your meal, dessert, or a quick snack on the go! 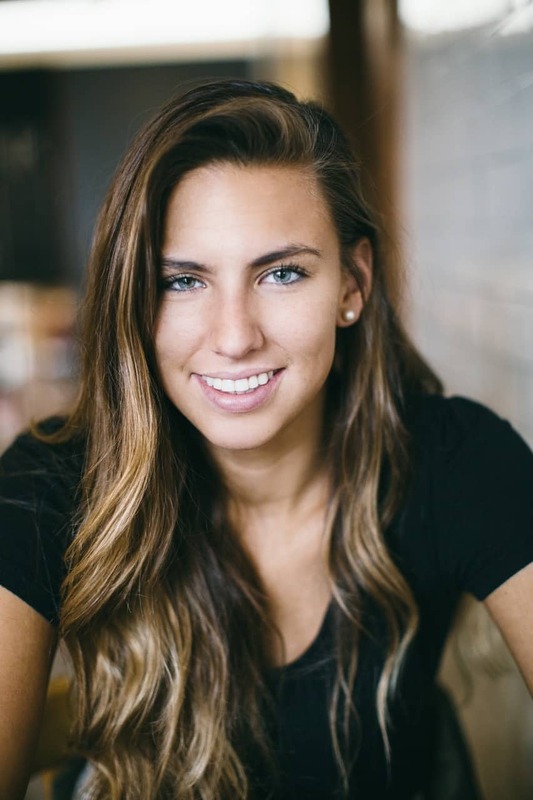 If you’re relatively familiar with the dining scene in Austin then you know that Henbit comes from the same creators as Emmer & Rye on Rainey Street that basically serves some of the best food in the entire city (but that’s a separate blog post in and of itself …). My point? Henbit is a completely different concept but you can expect the same fantastic quality. I love the food here because it’s nothing too heavy and there are a LOT of delicious healthy options in the form of salads, bowls, wraps, etc. 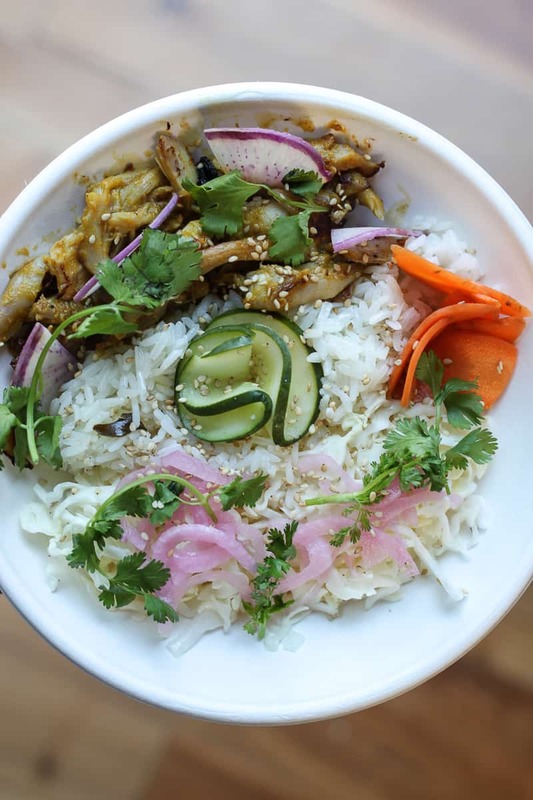 I highly recommend the peanut chicken and lime leaf rice bowl served with chicken laab, pickled carrots, steamed rice, cabbage, and benne. I am a big fan of Ni-Kome at Fareground because they have delicious fresh sushi and it’s sooo reasonably priced! I mean seriously, this nigiri & sushi combo (pictured) is a whopping $15. 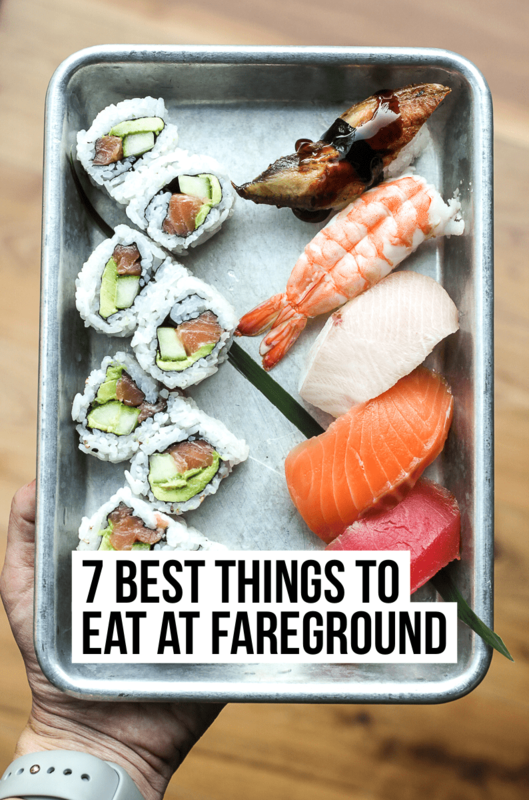 Worth it and a great option if you’re craving sushi while dining at Fareground. 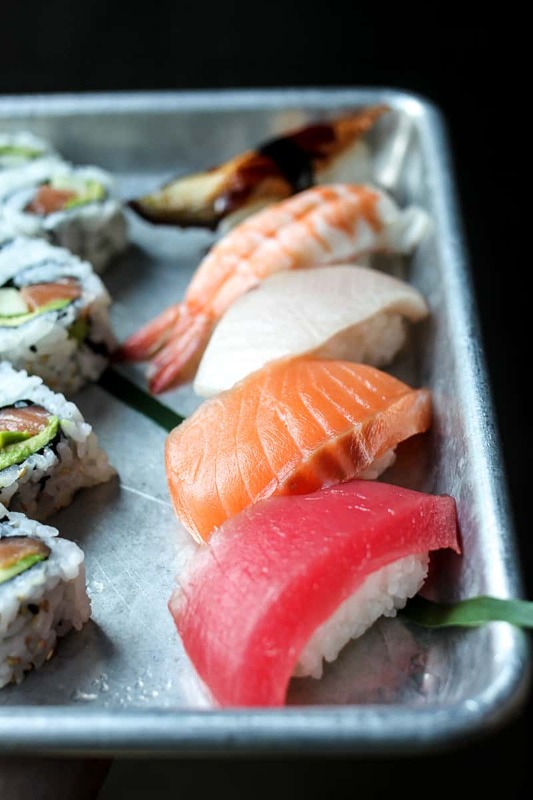 Ni-Kome also serves delicious ramen and several nigiri and sushi options. Cheese and bread are two of my favorite food groups, which means I’m ALWAYS tempted to enjoy Antonelli’s Cheese Shop every time I go to Fareground. I love how they take their specialty cheeses and use them in a variety of different menu items- perfect for a cheese lover! You can start with one of their delicious cheese boards (several combinations available), or go straight for some of the entrees. I swoon over the homemade grilled cheese or the macaroni and cheese. 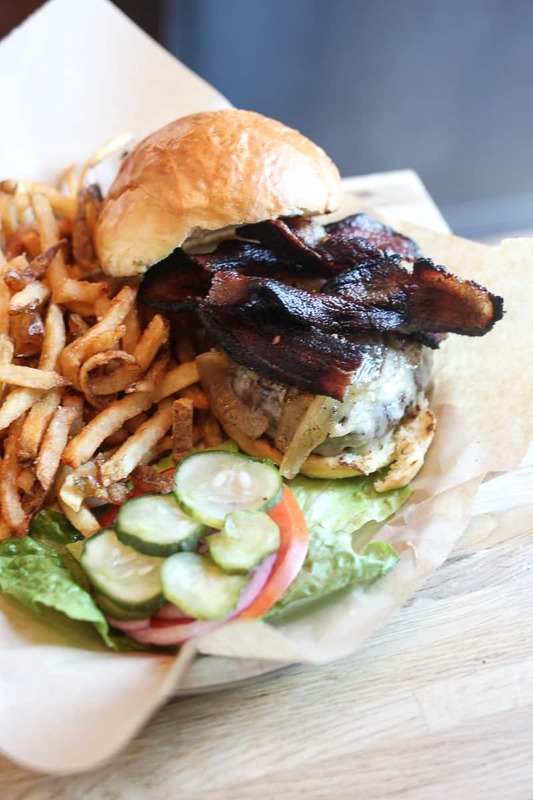 If you’ve read my list of the 15 best burgers in Austin you know that I’m a BIG fan of the burgers from Contigo. Great news- the burger that’s served at Fareground is literally the same fantastic burger! 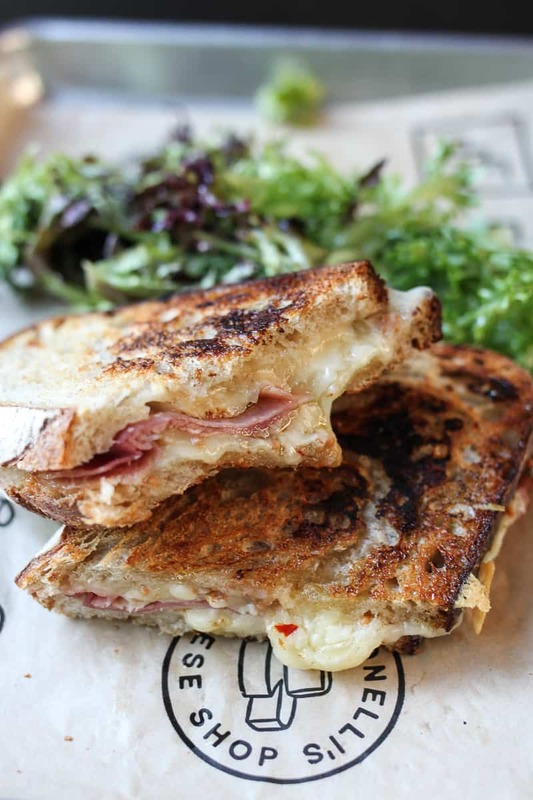 No shortcuts, same fantastic quality- it’s basically a work-lunch-downtown dream come true. You can customize your burger with a variety of toppings but make sure to get it with white cheddar and bacon if you’re feeling especially indulgent. Henbit gets not one but TWO spots on our list of best things to eat at Fareground because of the MONSTER COOKIE! 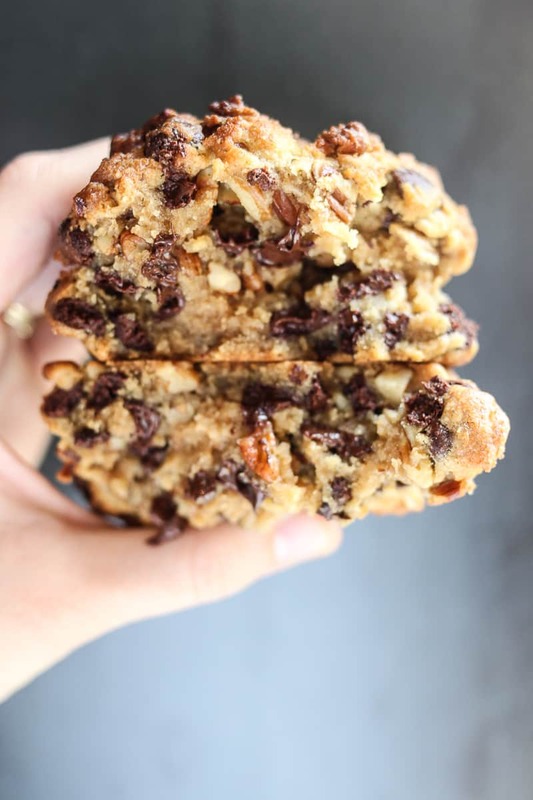 It has chocolate chips, pecans, and the slightest perfect hint of lemon throughout. It’s one of my top picks for the best dessert in Austin. I never (ever) make a trip to Fareground with out this cookie and you shouldn’t either. They typically always have warm cookies available- the perfect dessert or snack or finish to a great meal at Fareground. 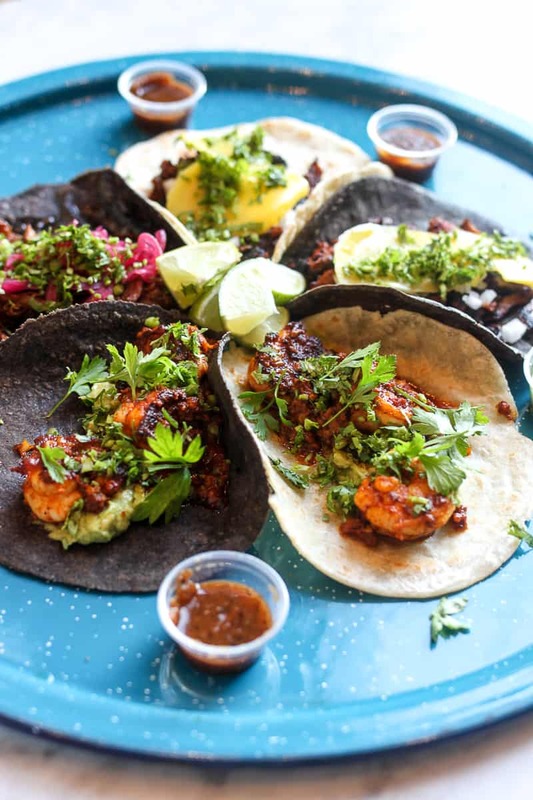 Picking my favorite thing to eat at Fareground was basically like picking a favorite child, but if I’m recommending ONE thing to try while you’re here, it’s definitely going to be the Wild Boar Al Pastor Tacos from Dai Due Taqueria. Don’t be put off by the unique meat selection- I promise you’re going to love these delicious, flavorful, melt-in-your-mouth tacos! The tortillas and masa are made in house with Mexican heirloom corn milled on site and the wild boar is your new best friend. This looks like such a great place to grab a yummy bite to eat. I haven’t been to Austin yet, which is surprising since I lived in Texas for almost 10 years….but in the Dallas area. I am looking forward to visiting and hope try some of these spots.